Exactly one year from today, “the most lobbied piece of legislation in history” – the EU’s General Data Protection Regulation (GDPR) – will be enacted, radically overhauling the relationship businesses have with personal data through a raft of new obligations and consumer rights. The way firms collect, store, process and protect the personal information of customers, clients and employees is being upgraded to meet the advanced requirements of the digital economy. New, explicit definitions of consent will be introduced, along with consumer rights to erase, rectify and transfer data, and a common data breach notification requirement – a mere slither of the myriad obligations GDPR legislates. The regulation drives home the significance of data governance to an executive level: the potential fines for failed compliance, the fallout from reputational damage, and the requirement for some businesses to assign a data protection officer, should be enough to alert the City to its magnitude. And yet survey after survey shows the opposite to be true. “Two things that all companies need to be fully aware of in relation to the GDPR is its sheer scope and the punitive fines for breaching it,” says Guy Marson, managing director of Profusion. “Nearly every company will be touched by the GDPR. It practically makes data management infrastructure a legal requirement”. The GDPR is an attempt to harmonise disparate data privacy policies across the 27 EU member states. The internet, in theory at least, is not defined by borders, making the transfer of information across jurisdictions privy to an absurd amount of disparate legislation, which the GDPR aims to homogenise. 42 % say that the EU GDPR is not a priority for their organisations. Regardless of Brexit, UK businesses, think tanks and politicians have been a driving force behind devising the GDPR. But that is to miss the point. The GDPR is extraterritorial by nature, meaning it applies to EU citizens wherever in the world they might be. A business in Australia has the same obligations to protect EU citizens’ data as one in Austria. In practice, although some EU member states, such as Germany, currently have more stringent privacy laws, GDPR will become the highest common denominator, meaning businesses that handle data across international borders will have to abide by it. To call it the “Global Data Protection Regulation” is not so farfetched. The concept of “data governance” is new to many firms, with anything data-related often seen as an issue for IT bods – rather than the board. It’s estimated that 68 per cent of all large businesses, and 52 per cent of small business, have fallen victim to a security attack in the last year. Yet, only 29 per cent of companies have a formal cyber security policy in place. The banking and financial services sector is widely believed to be the first to be “made an example” of if a breach occurs according to UK respondents of a recent Varonis survey. This is concerning, especially for FTSE firms. Oxford Economics recently examined a sample of 65 “severe” and “catastrophic” cyber security breaches since 2013 across seven global stock exchanges, in order to estimate the effect on share prices. Overall, it said the attacks cost shareholders £42bn. At present, most UK firms have no specific breach-notification obligation under the Data Protection Act. However, under GDPR, all companies and organisations will have just 72 hours to notify data subjects of a breach – or face a fine. Many of the practices identified as unacceptable are fairly commonplace in the UK – but not in somewhere like Germany, or Estonia. Recent guidance from the Information Commissioner’s Office (ICO) raises a pertinent point, which goes part of the way to explaining why the UK is lagging. Many of the practices identified as unacceptable are fairly commonplace in the UK – but not in somewhere like Germany, or Estonia. It’s far easier for some member states to comply with GDPR than others – to harmonise – yet we all have the same timeline. The consensus six months ago was that 18 months wasn’t enough time to prepare for GDPR. In terms of size and scope, the task is comparable to the changes Brexit demands. The mandatory appointment of a data protection officer for public authorities and businesses which carry out large scale systematic monitoring of individuals is a major change. 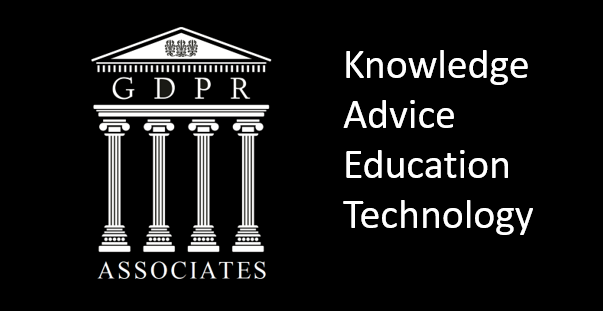 A report by the International Association of Privacy Professionals estimates that businesses around the world will have to appoint at least 75,000 data protection officers to help them comply with the many complex requirements of the GDPR. But the final version presented in 2016, he says, will fundamentally change the relationship businesses have with consumers. “Elizabeth Denham said something interesting a few months ago,” says Roy. “That ‘if you feel uncomfortable about asking consumers to do something, then you probably shouldn’t be doing it.’” GDPR is an opportunity, he thinks, to “ treat consumers in an appropriate and relevant way. And GDPR we hope, and think will deliver a consumer that, because they know how their data is going to be used, who’s going to use it – and what for – is going to be more trusting.